Whoever heard of a dragon who doesn’t like fighting? 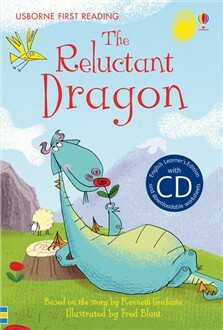 And what will happen when the boldest dragon fighter of them all comes to stay? "wonderful retellings of famous stories for young children and first readers"